YSRCP MPs are doing hunger strike in AP Bhavan for the Special status..they were held massive rally on Monday at the tadipatri in order to increase pressure on the central government.under the YSRCP leader Kethi Reddy Peddireddy ,Leaders and activists were slogan that the " special status is the rite of Andhra people".Kethi Reddy said the situation was occurred due to the inability of Chief Minister. The Telugu Desam Party MPs demanded a resignation of their posts if they were ashamed and lazy. 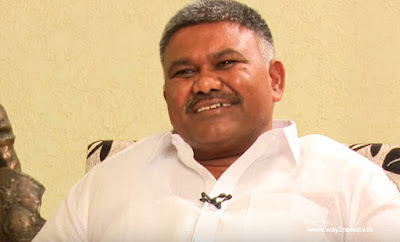 In Delhi YSRCP MPs put their lives in risk....He said " In Delhi, YSRCP MPs put their lives in risk ... doing hunger strike for special status and left their positions, while TDP MPs are playing drama.The four-year TDP rule has been accused of corruption and impropriety. TDP is to be buried in the upcoming elections. The TDP MPs who have no intention of resigning on state benefits should resign.